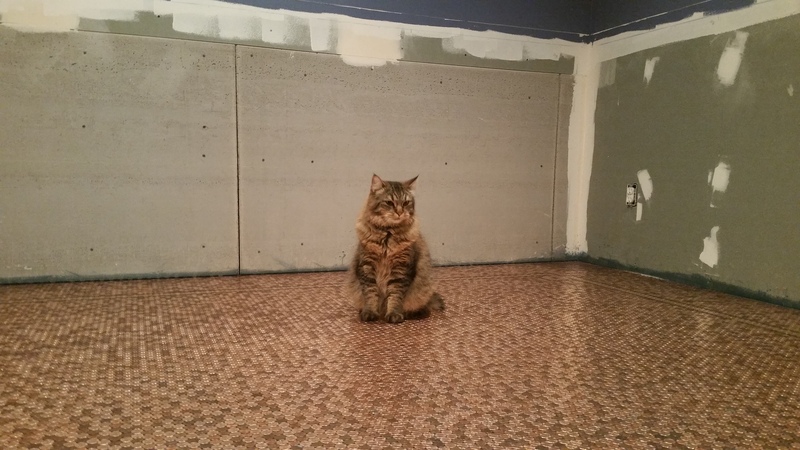 DIY Penny Floor Update…it’s been a while! Just for fun, I decided to take a plain sconce and glue sea shells and glass that we’ve collected to it. My husband and I collected a majority of the sea shells from beaches along West Seattle. I must admit, my sea glass mirror has been hanging in the bathroom for a while now…I just haven’t had the time to write this post to share my results. In my last post, I had a base of flat glass glued along the border of the mirror. I guess I’m becoming very crafty… I wanted a sea glass mirror for one of our bathrooms. When I checked online, I was a little surprised at the cost so I decided to make my own. My husband happened to have a mirror of the exact size that I wanted for the bathroom that he was hoarding storing from a previous home. It’s an oval mirror with a beveled edge. DIY Penny Floor… the saga continues! It’s been a while since I’ve updated you on our penny floor project. The good news is that we are almost done with gluing all the pennies! Would you believe that as week four, we are about 75% down with gluing pennies to our floor? Rocko, our cat, has been sneaking his way into the room to supervise us.